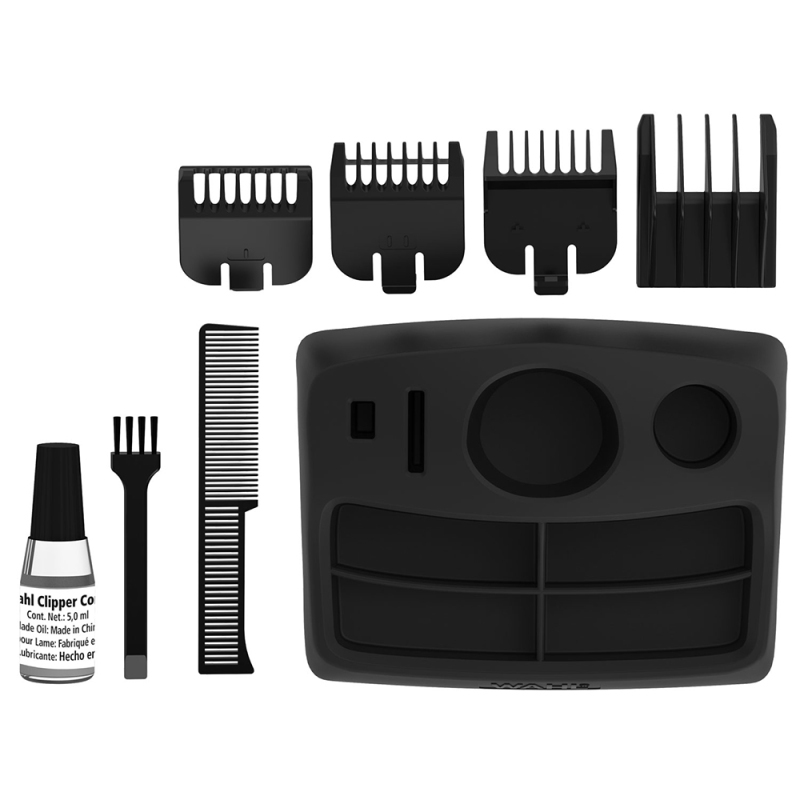 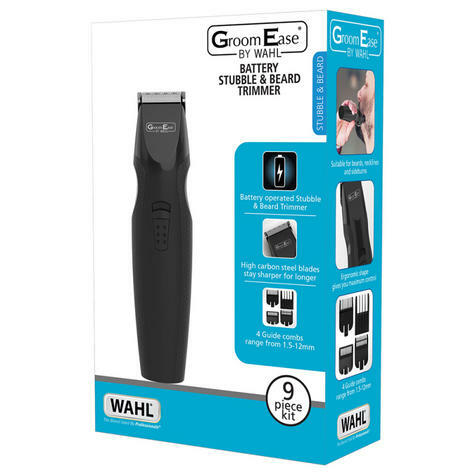 The battery operated stubble and beard trimmer is perfect for any man who likes to maintain a well-groomed beard. Designed with high carbon steel blades, this is the ideal tool trimming beards, sideburns and neckline. 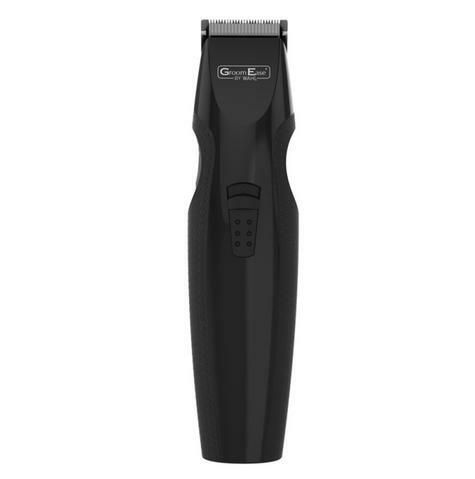 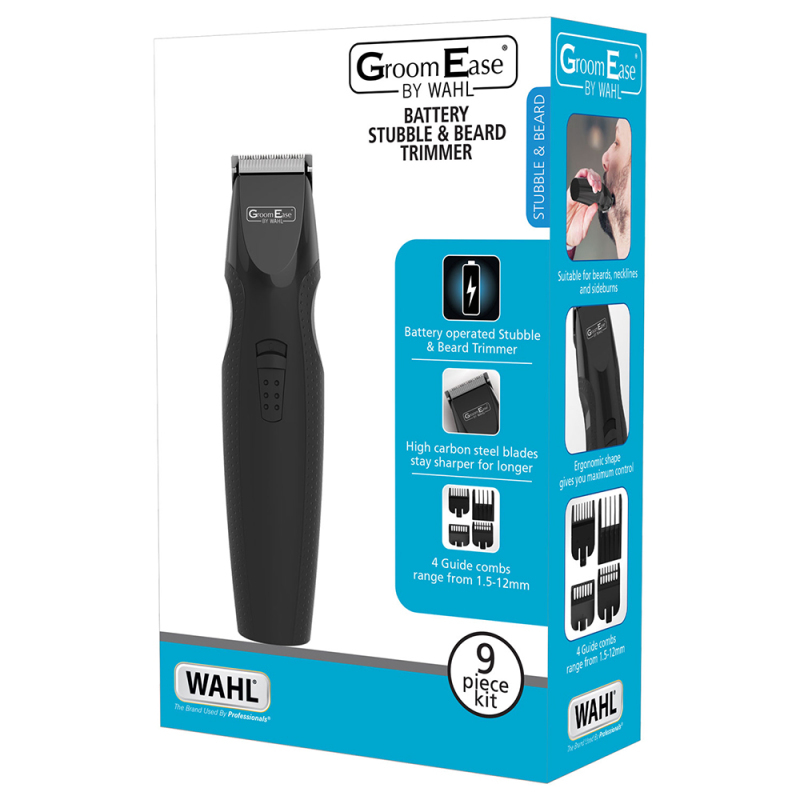 The ergonomic shape makes the trimmer easy to use, whilst cordless operation gives you full control wherever you are. 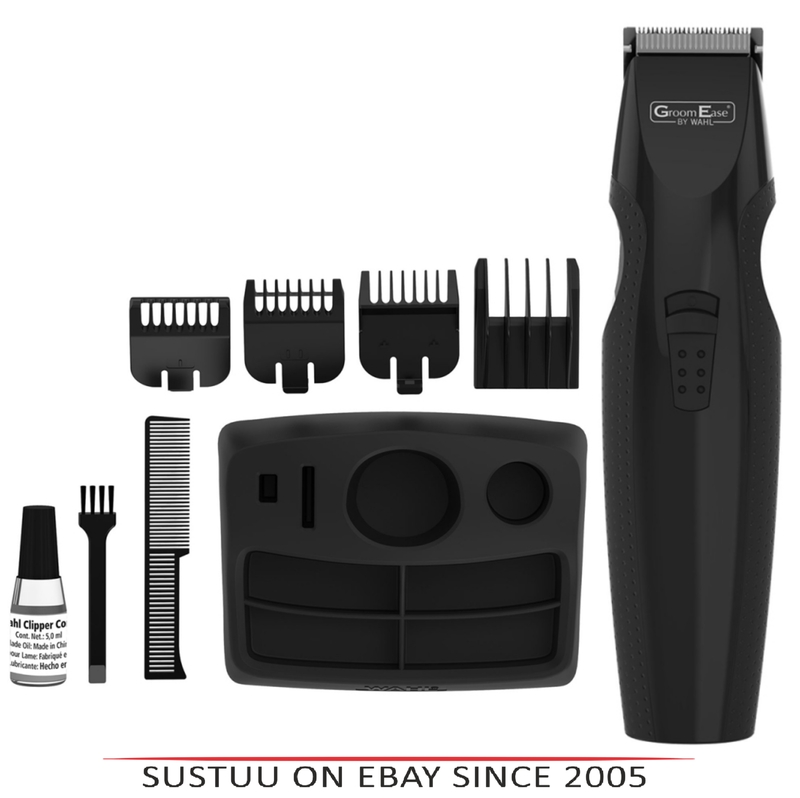 Personlise your style with 3 close trim attachment combs and a t position guide comb providing cutting lengths from 1.5mm to 12mm.